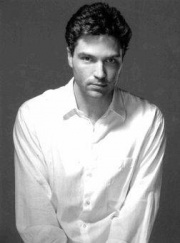 Ahora puedes escuchar y aprender la canción "Another heaven" de Richard Marx. turn back? it's too late! i've run out of time. . .
"son you must be brave"
look me in the eyes, i wanna see it comin'! sinners like me need another heaven, yeah, yeah! Escuchar Richard Marx Another heaven Lyric Video.